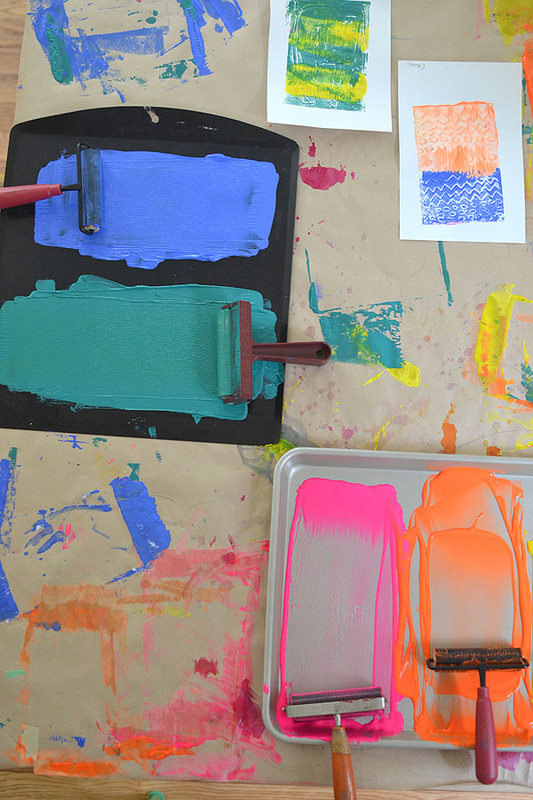 Printmaking is a fine art that involves making a “master plate” which you then can use to make multiple images. 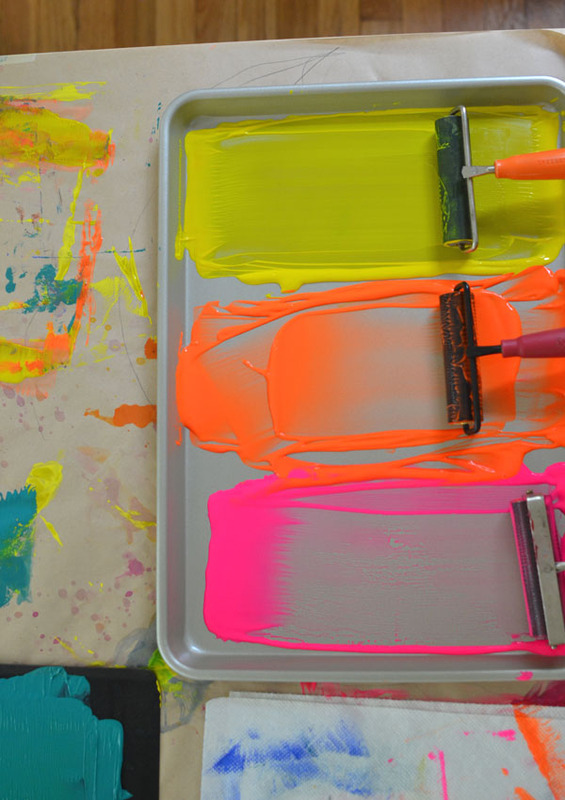 There are so many ways to print, it’s almost endless! 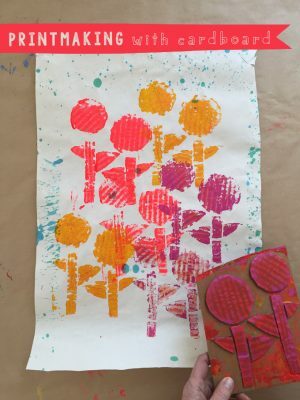 Potato and veggie printing, linoleum printing, mono prints, raised foam printing, bubble wrap printing, yarn printing… basically any object you can find can be used to print with. 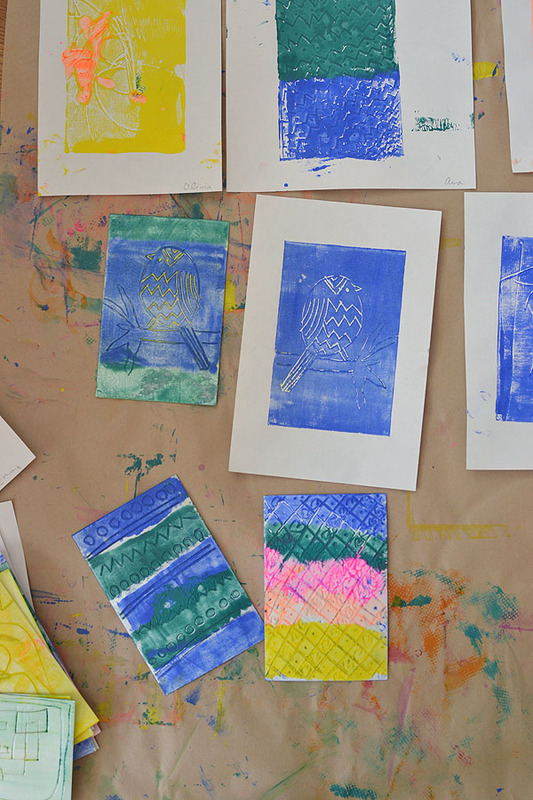 Styrofoam printing is really one of the simplest ways to teach printmaking for kids. 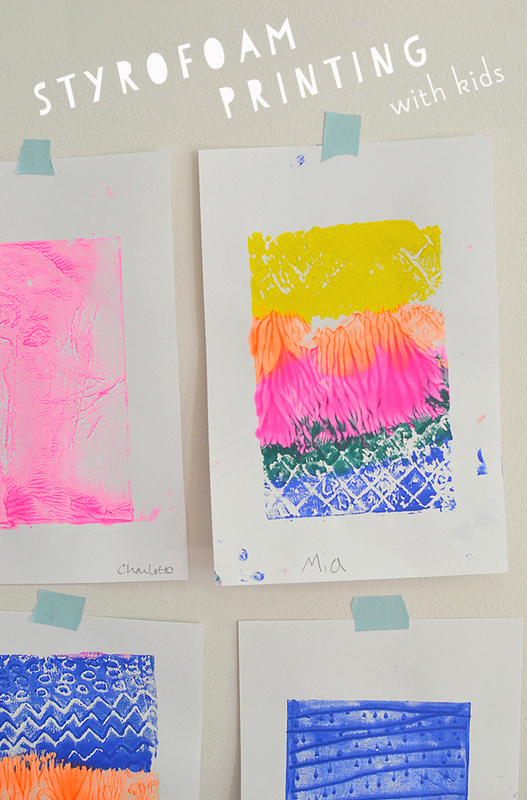 We made these prints in art camp. I wish I could frame each and every one I just think they are so beautiful! Ok, so I’m sorry I don’t have more photos of the process. Sometimes when I’m in the thick of demonstrating a new technique I forget to take out the camera! I caught a few photos at the end after the kids really got going. I’ll explain the process, and then give you some links to see photos of the beginning part from other bloggers. ~ First, have the kids draw something on their styrofoam with a dull pencil (like this). My kids actually had a hard time thinking of what to draw. It was not a typical piece of paper so I think that they froze a bit, not sure of what they were doing. This concept of indenting the negative space is abstract. So I told them to just make patterns at first. This helped them loosen up. Then, as they figured out what it was all about, they went back to make more “plates” (this is what we called the foam). 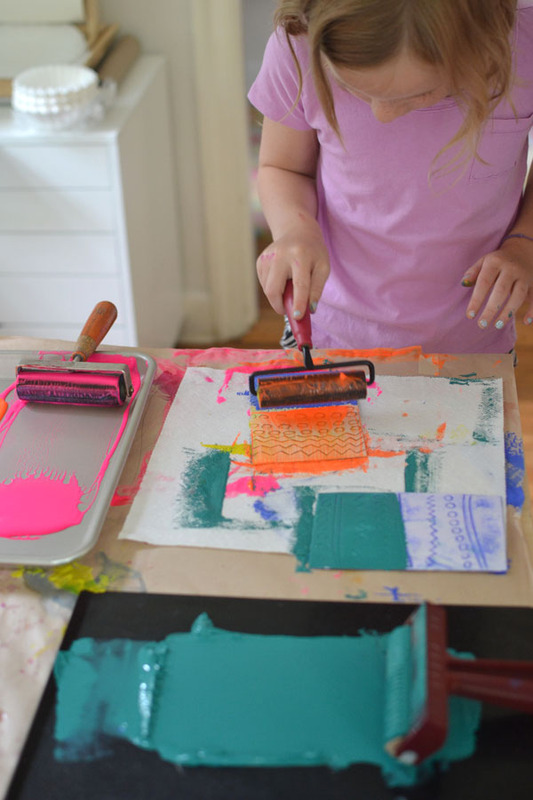 ~ Next, squirt some paint onto your trays and use the rollers to roll them out in a streak. 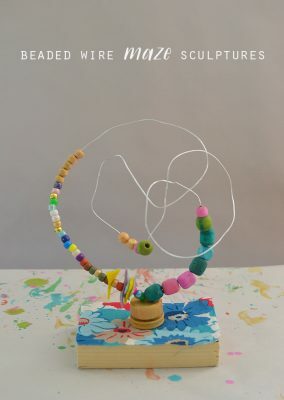 Let the kids try the rollers (kids loooooove this) and teach them to be careful when rolling so that the colors don’t mix. 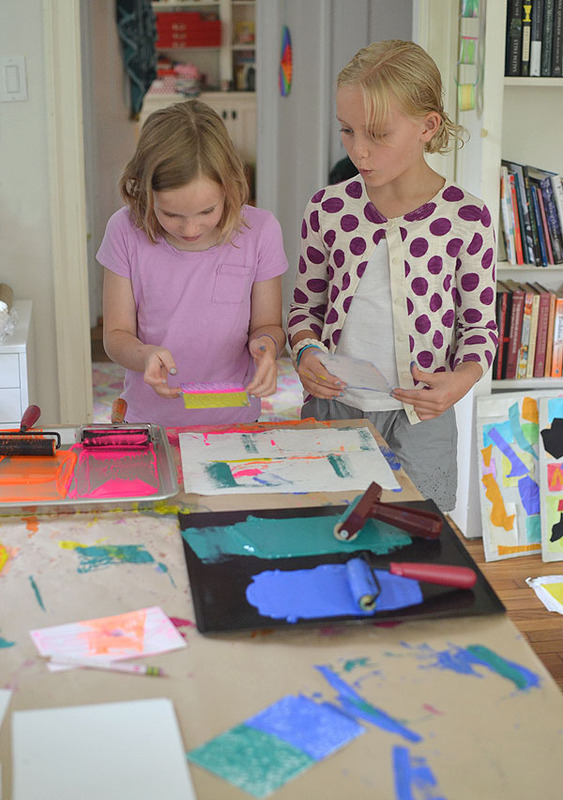 Although, you can certainly just let the little ones explore the rollers without a care about mixing colors. 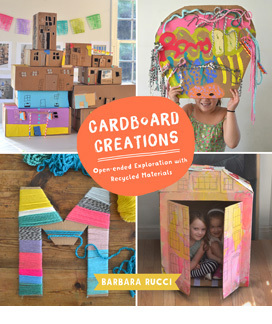 In fact, for kids under four, I think it’s best to let them just explore the process rather than be too worried about the outcome (i.e. brown colors). My kids at camp were ages 4-8 so I was a bit more of a purist about color with this group. And there is nothing wrong with teaching them control sometimes, too. ~ Now it’s time to apply the paint to the plate. We put paper towel down first because the rolling can get messy and this allowed us to keep the tabletop somewhat cleaner. 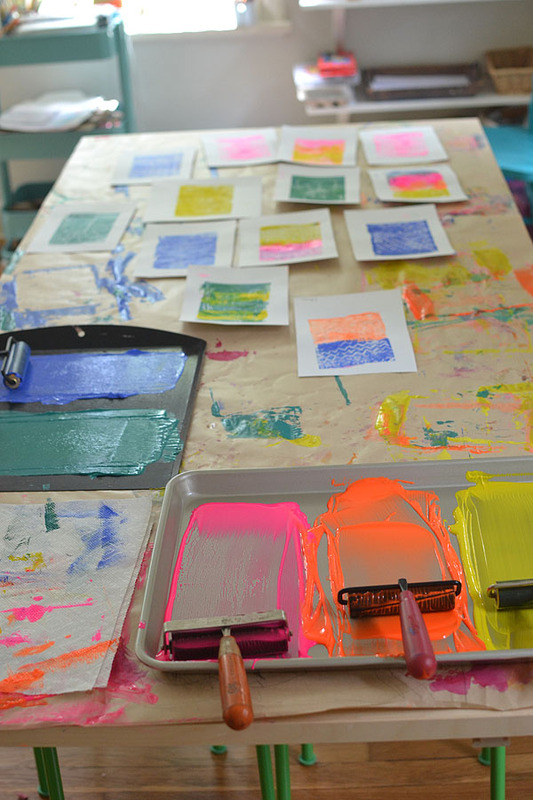 We soon figured out that we should keep one area of the table for rolling, and another area for printing the paper. The printing area was kept clean so that the paper stayed clean. ~ So here’s what it looked like: They would roll on one end of the table, then they would walk around and take a piece of paper, lay it down on the clean surface, turn the plate over and center it onto the paper. I had them push down on the plate for 30 seconds. The best part was lifting the plate and seeing the image! ~ Plates were then cleaned with water and dried, and then they would start the process all over. Or, more likely, they would want a new plate because they would get a new idea! One interesting thing to discover is how the image prints in reverse. A few of the kids wrote their names, and discovering that they were printed backwards was a mind boggling! As you can tell, I sure took enough photos after they were done! I almost didn’t want to give them home. 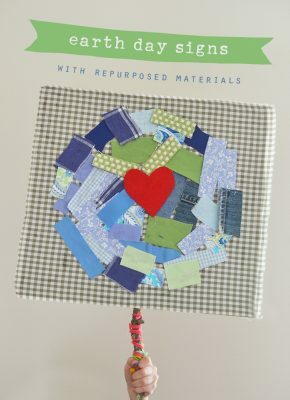 Here are some links of others on the blogosphere that have done this styrofoam technique. Click around, everyone’s approach is a little bit different which is very cool. Great post! 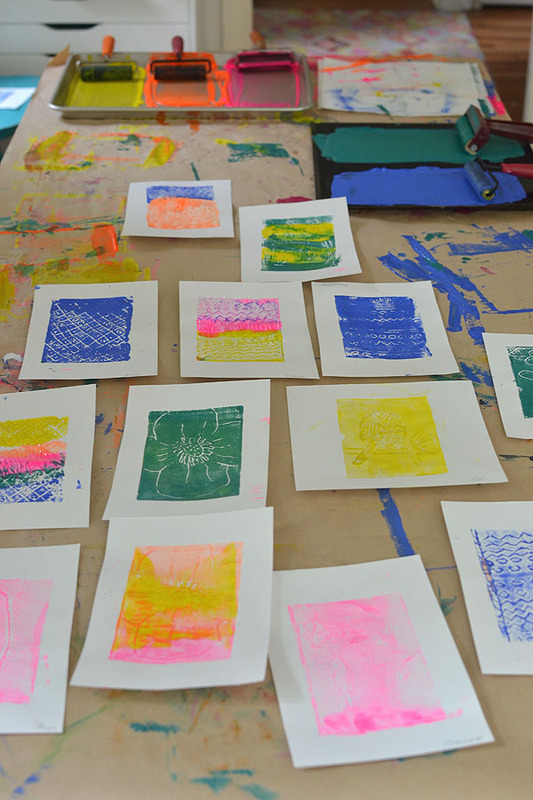 I love printmaking. Thanks for the shout out! 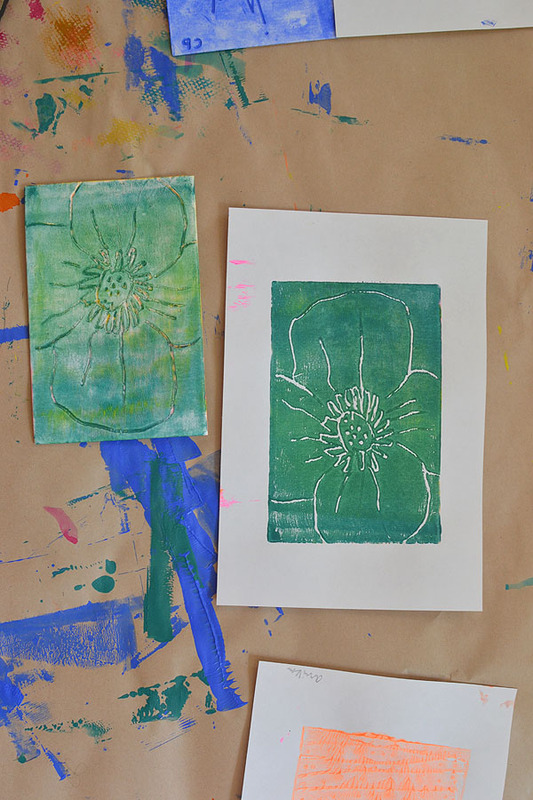 I love how you stamped the prints on the paper to make the border. Really cool.